Grammy Awards 2019: Who Will Win Best New Artist? With the entire music industry descending upon Los Angeles for the 2019 Grammy Awards on Sunday night (February 10), it’s time to fire up our crystal ball and make a couple of predictions. Best New Artist is one of the most hotly-contested categories with any number of worthy winners, but here is how I see things unfolding. If there’s one category that an artist might be happy to lose, it’s Best New Artist. Why? Well, the award is considered to be something of a curse with previous winners failing to live up to their potential. Of course, on closer inspection, that turns out to be a load of hogwash. The Beatles took home the prize in 1965, while The Carpenters won in 1971. Oh, and the Queen of Octaves herself, Mariah Carey, was crowned Best New Artist in 1991. That being said, there are a handful of eyebrow-raising choices. Like Milli Vanilli (over Indigo Girls), Hootie & The Blowfish (over Shania Twain, Brandy and Alanis Morissette) and Esperanza Spalding (over Drake, Justin Bieber and Florence + The Machine). Let’s not even mention the fact that Britney Spears’ fandom is still fuming about Christina Aguilera snatching the award from her in 2000. This year’s lineup is typically eclectic and curious. There’s no denying that country singer/songwriter Margo Price deserves serious consideration from the Recording Academy, but her debut (solo) album dropped way back in 2016. That’s the same year that breakout country star Luke Combs landed his first hit and Beyonce-mentored duo Chloe x Halle released their first EP. Meanwhile Dua Lipa and Bebe Rexha have been making waves since 2015 and 2014, respectively. Not that it really matters. 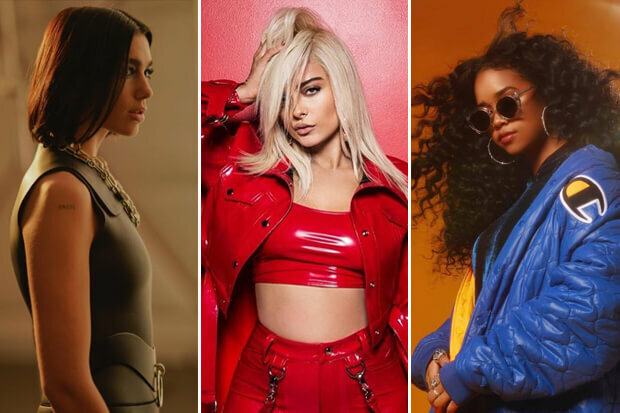 The definition of a “new artist” is notoriously open to interpretation and being somewhat well-seasoned in the industry has actually helped in the case of previous winners Alessia Cara and Fun.. Instead, this seems to be one of the categories most strongly dictated by commercial success. With a couple of random exceptions, recent winners have made a huge splash on the charts. That would tend to rule out Margo, UK soul sensation Jorja Smith and Chloe x Halle. Greta Van Fleet hasn’t landed a radio hit yet, but the hype around them is deafening and their debut album peaked at an impressive number three on the Billboard 200. They are still in with a shot. The same goes for H.E.R.. The 21-year-old hasn’t dented the upper reaches of the charts yet, but she is the only nominee also represented in the Album Of The Year category. Which has to give her at least an outside chance. If voters are swayed by commercial success, the front runners are definitely Dua, Bebe and Luke. Dua attained instant star status when “New Rules” broke big in 2018, while Bebe’s mega-selling collaboration with Florida Georgia Line, “Meant To Be,” climbed all the way to number two on the Billboard Hot 100. (It also made history by topping the country chart). Speaking of the cowboy hat-loving genre, Luke has landed smash hit after smash hit, and dropped one of the best-selling country albums of 2018. The winner will probably come down to aggressive campaigning and visibility within the industry. In which case, it will be close race between (potential collaborators) Bebe and Dua. The former has been around for longer and amassed more hits in front of the microphone and behind the scenes as a songwriter. As such, she might have a slight edge. The answer to this really depends on your taste in music. As a pop connoisseur, I would be delighted if Bebe or Dua walked away with the gong for breathing new life into my favorite genre. On the other hand, Luke is arguably the new King of Country and Chloe x Halle and H.E.R.’s debut albums were breathtaking testaments to their massive potential. And then there is Greta Van Fleet, a band that has been credited with saving rock n’ roll. This is a case of choosing your fighter. I couldn’t argue a cogent case against any of the nominees. They all deserve it making huge moves in their respective genres. Who should win this category? Let us know below, or by hitting us up on Facebook and Twitter!